Denna produkt ger dig 4198 bonuspoäng. Digital starter set: Diesel locomotive class 212 with freight train, DB. Digital starter set: Diesel locomotive class 212 and freight train of the Deutsche Bundesbahn, Epoch IV. 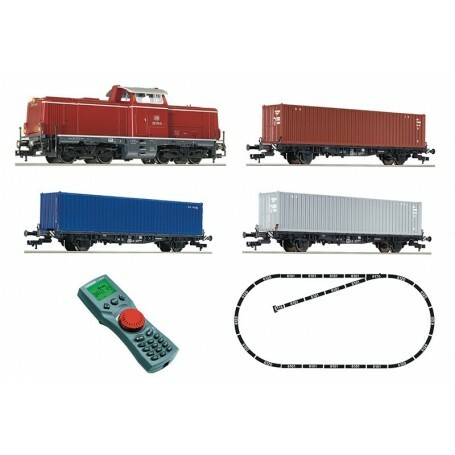 All Fleischmann multiMAUS advantages at a glance: Store up to 9.999 locomotives on the layout and control any one of them by keying in their number + 64 locomotive addresses can be stored in the database + up to 21 functions per locomotive can be activated + speed steps: 14, 28 or 128 + up to 1.024 switchable solenoids.